Do Electric Bikes Belong on Singletrack? Do electric bikes belong on singletrack? This topic is heating up in North America where we’re just starting to see an influx of dual-suspension, trail-specific mountain bikes with electric motors. At Pedego Canada, we believe it’s inevitable: like snowboarders at ski resorts, ebike riders may be shunned initially but if the global market is any indication, the increase in their popularity is guaranteed. In other words, they’re coming so we better get used to it because we’re all going to share our favourite singletrack with an electric bike one day. That’s not to say it needs to be a free-for-all out there and ebikes should be allowed to tear around wherever they want, but we think electric and traditional bikers can meet half way and find a solution that works for everyone. It’s important to state upfront that Pedego Canada doesn’t stand to profit from the increased use of dual-suspension electric mountain bikes. Our bicycles generally fall into the urban genre and the likelihood of you seeing a Pedego on a mountain bike trail anytime soon is doubtful. 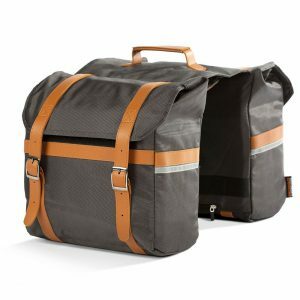 However, we are tapped into everything that’s happening in the ebike market and what we’re seeing in Europe right now is telling – an increased number of riders are buying electric mountain bikes or conversion kits for their existing bikes in order to get up the mountain faster and easier and still enjoy the fun downhill. Now, a lot of purists might be scoffing at the idea but as our population ages and knees, backs and hearts weaken, the idea of a little assist on the up becomes attractive. And besides, since when have downhill mountain bikers forsworn a bit of assistance? Just last week some friends drove a diesel truck to the top of a popular local trail and dropped in. Plus, there’s a reason lift-access resorts like Whistler are so popular, not to mention the fact heli-drop services are growing. Given that we believe the trend is inevitable, it remains to be decided what the rules around ebike use on singletrack trail systems will be. Here are the three questions we think are going to be important ones to answer in the near future. #1. What Exactly is an Electric Bike? In short, an electric bike is anything with a motor. But within that there’s a huge variety. In most of Canada a power assisted bicycle is defined as anything with a maximum output of 500 watts that cannot travel faster than 32 km/hr on motor power alone and on level ground. That’s a lot of power and 32 km/hr is a lot of speed, but uphill speed will be much lower and as such it can’t perform like a motorcycle. 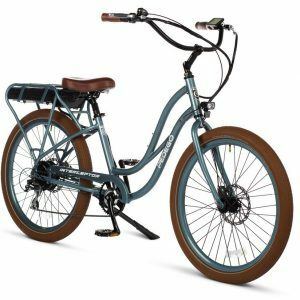 That’s the government’s classification but what about local bike riding groups – eventually they too will have to determine exactly what an electric bike is and what power range should be allowed on their trails. Then each area will have other factors to consider such as overall usage, the existence of multi-use trails, whether or not there is a dedicated up-track or if people are primarily riding up roads or double tracks. Which brings us to question number two. #2. Where Exactly Can Electric Bikes Roam? 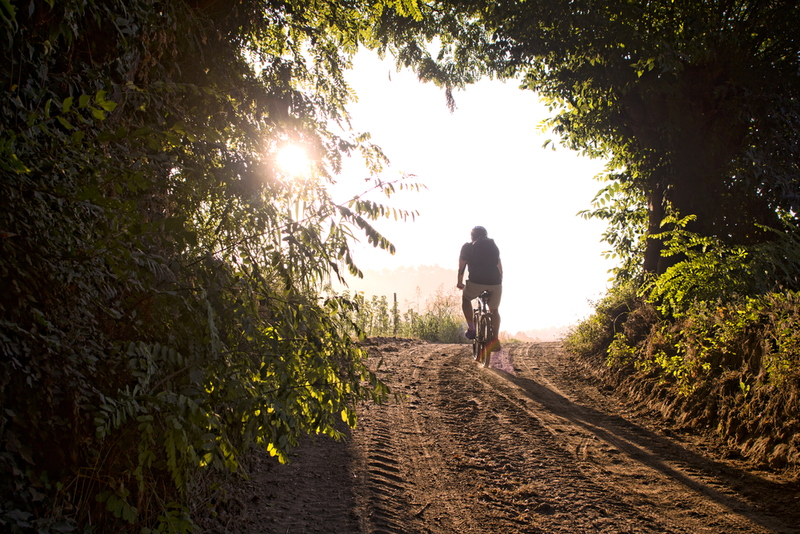 Canada is world-famous for its vast array of mountain bike trails from cross-country singletrack and mild doubletrack to downhill and slopestyle resorts. Should electric bicycles be allowed on all of them? We believe they shouldn’t be banned but that the main issues to consider for all these various types of trails are speed and trail wear. No one wants to be riding up a technical singletrack section at a local destination only to have some ebike rider yell, “On your left!” as she blasts pasts you with dirt flying everywhere. But what’s the harm in allowing electric bike riders to pedal/throttle up dedicated doubletracks and then ride whatever they want on the way down? We also think down-track wear is likely to be the same as normal riding because a heavy downhill bike or a heavy rider weigh the same as an electric bike. That view is not shared by the rest of North America right now. 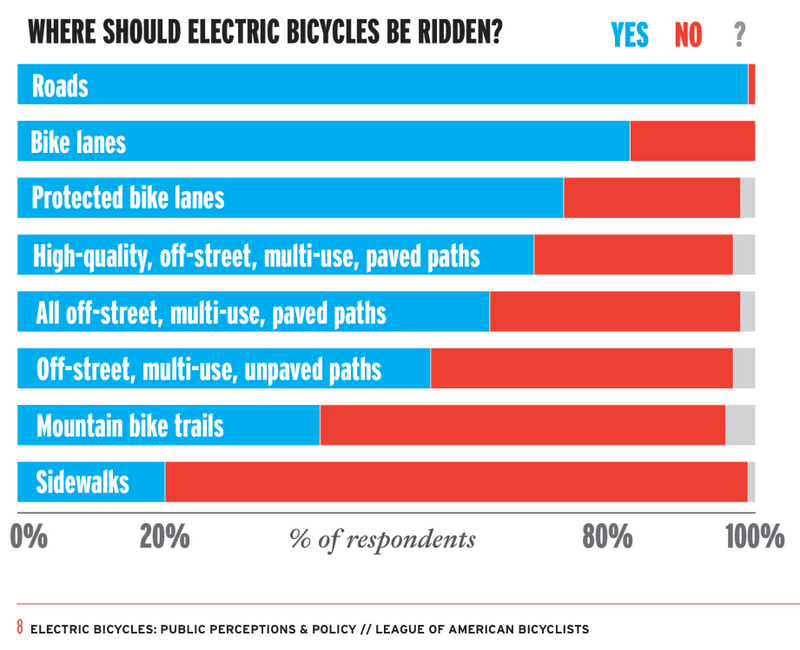 As the graph below shows, most bicyclists believe electric bikes have no place on mountain bike trails and should stick to roads, bike lanes and multi-use trails. Interesting. We bet in the 1980s the majority of skiers said that snowboarders don’t belong at their resorts – and then snowboarding saved the entire industry. Currently in Europe the only growth the bicycle industry is seeing is in the electric bikes market and we believe it’s just a matter of time until that spills over into North America. Technology is only going to improve, battery sizes are going to get smaller and soon full-suspension mountain bikes that offer motorized assist without sacrificing weight will be available. The first adopters might be treated as pariahs in North America but mountain biking has a colourful history here that includes rogue development and outcasts overcoming administrative obstacles – electric mountain bike users will soon enjoy their own spotlight in the mountain bike saga. The International Mountain Bike Association’s stance on the topic is different from our own, however. According to IMBA’s communication director Mark Eller, “We’re not against other forms of recreation – including motorized and motor-assisted things – but our position is that mountain biking is inherently a human powered activity.” IMBA’s official position goes on to state that “the use of a motor, whether internal combustion or electric, would require changing the classification to a motorized use. 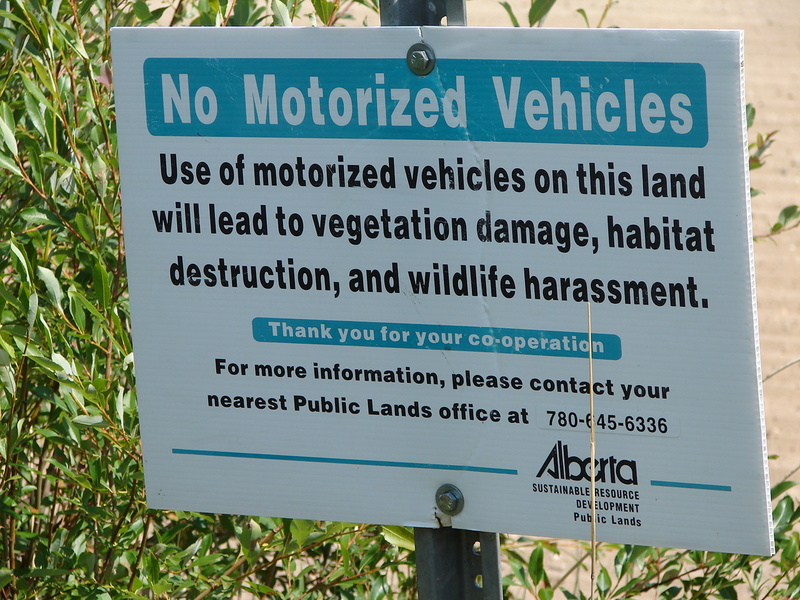 E-bikes are motorized and therefore when utilized off-road should be regulated as with other motorized off-road travel.” In other words, electric bicycle users can ride all the snowmobile, ATV, motorcycle and scooter trails they want – but stay off mountain biking-specific singletrack. Quite frankly, IMBA is going to have to change it’s tune on this one sooner or later. We don’t know about you, but the last thing we want to do is just ride double track when we’re looking for a downhill thrill, whether we’re on electric or traditional bicycles. That’s not to say ebike users should ignore the same rules everyone else abides by. Just because you have the power to blast up downhill-specific trails doesn’t mean you should. And we don’t believe electric mountain bike users will do this – after all, who wants to spend all that money on a battery and electric motor only to have it demolished by a biker careening down the trail and into your ride. Just like traditional mountain bikes, there shouldn’t be any “up” on dedicated downhill singletrack trails and, likewise, there shouldn’t be any restrictions on the down because, as we mentioned, there won’t be any greater impact than that caused by a typical mountain bike. As long as electric mountain bike riders follow the same rules as traditional mountain bike riders, then we don’t see any reason why they should be shunned. #3. 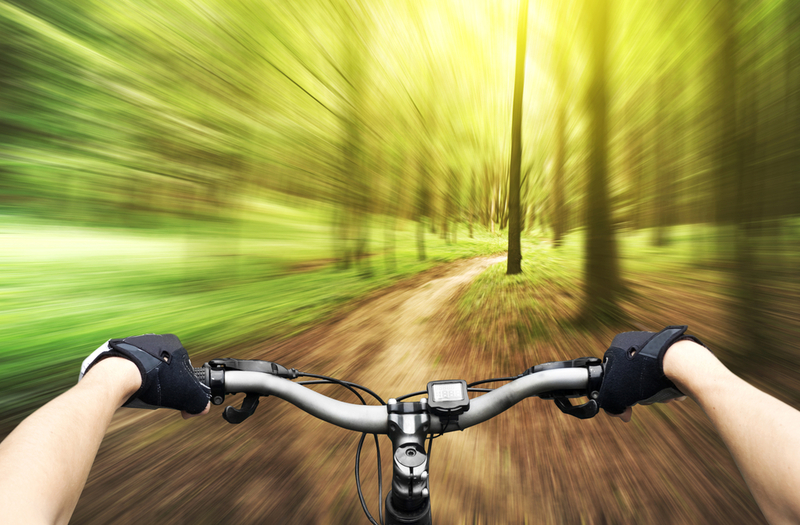 Will Electric Bikes Change The Sport of Mountain Biking? The short answers is, yep. But don’t take our word for it. Gary Fisher, one of the grandfathers of mountain biking, says electric bikes are going to open up the sport to those who have never experienced it before. “The benefit that people don’t get is we’ll be getting people out mountain biking that have never been on a mountain bike,” he said. “There are a lot of people that want to dabble in the sport and they want to get into it, and this is going to be another way we can increase the numbers in the sport.” Of course, this also means more people using the trail systems and so that could be a large reason for the push-back. But, again, it’s only a matter of time. Lobbyists are already working on American politicians and associations to have regulations changed so that ebikes with a power output capped at 23km/h are classified the same as traditional mountain bikes. Canada is likely to follow suit. So to sum it all up, electric mountain bikes are here to stay and they’re only going to grow in popularity. Soon local riding groups will have to determine whether ebikes are allowed on their trail system. It’s our belief that ebikes which look like traditional pedal bikes should have access to the same trails provided they follow the same rules as other cyclists and don’t blast up designated down trails or zoom past other riders kicking dirt in their faces. In other words, if you’re on an electric bike, be considerate. That’s only our opinion, however. We’re interested in hearing yours. What do you think: do electric bikes belong on your mountain bike singletrack trails? Leave a comment here or feel free to email info@pedegocanada.ca to share your views. Will electric mountain bikers stand to be relegated to doubletrack? We don’t think so.